// Produced by CocoonDance in Co-production with Theater im Ballsaal Bonn, La Belle Usine Fully (CH) and Scène Nationale de Danse en Ile de la Réunion, Le Hangar, Centre Chorégraphique Eric Languet (F). Together with dancer Laure Dupont and filmmaker / animation artist Simon Rouby, choreographer Rafaële Giovanola and dramaturg Rainald Endraß from CocoonDance (founded in 2000) - which has been successfully exploring in about thirty productions premises and possibilities of narration in dance - developed their new piece. Since its first publication until today, Lewis Carroll’s Alice in Wonderland evokes unabated interest in children, adults, but also in artists of all genres who use Alice as an artistic strategy rejecting all rules of logic and perception. “Revisiting Wonderland” is equally inspired by Alice’s various illustrations as well as by this classic’s text. In “Revisiting Wonderland” Alice’s perception of the world and of her own body additionally assumes shape on a projection screen: Simon Rouby draws, shapes (partially even live) his Alice, interrupts, erases and starts from scratch, changes his figure over and over again. Nevertheless or maybe because of this she evermore comes to life, becomes more real and concrete. Sometimes she encounters her perceivable hallucinations, sometimes her contorting takes up the screen. Thus, “Revisiting Wonderland” is less of yet another Alice reproduction, but rather a dialog between the genres of dance and animation, a constant media change between the body in motion and animated images of a body that has been put in motion. "Like no other ensemble, the two dance creators venture repeatedly on seemingly complex topics and questions, only to reduce them to their core in their performances and to make them visible to the audience through movement and dance. Rarely, dance has been as eloquent as with CocoonDance. In cooperation with filmmaker and animation artist Simon Rouby, and composer Jörg Ritzenhoff, choreographer Rafaele Giovanola created from these distortions of perception a spectacular total artwork of live-animation, sound-collage and dance. 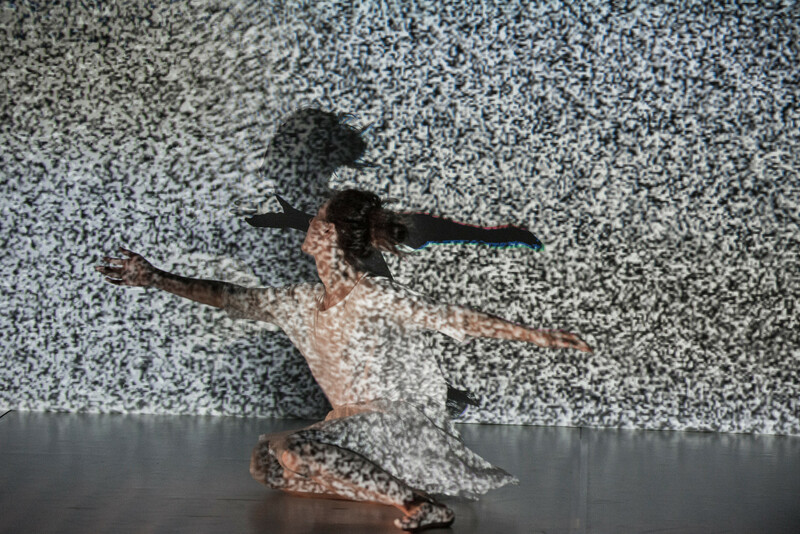 Even if Laure Dupont as Alice and her dancing are the centre of attention, nevertheless Simon Rouby lends complexity to Alice with his unusual animation technology. 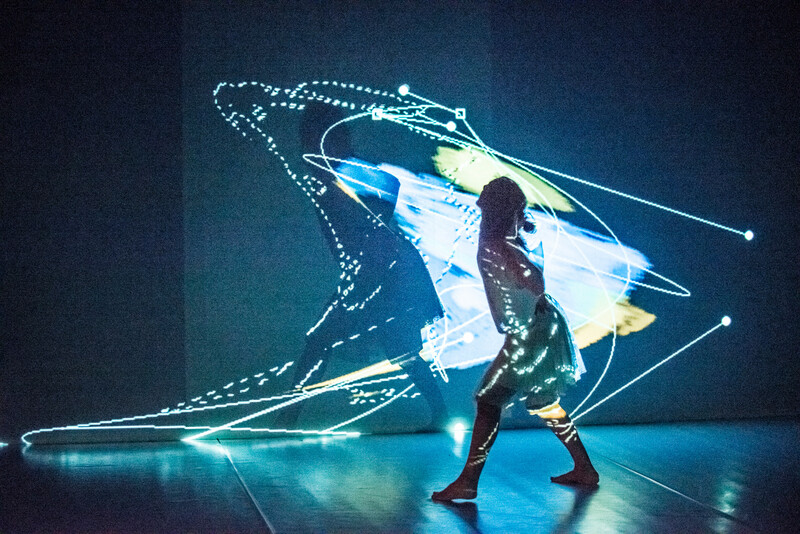 With laser or light lines, he traces the contours of the dancer at different moments of movement, scans the whole and shows it again, at different times and within different movements. Firm steps and metallic working noises put into vague sound mists suggest sturdy handicraft: Working on the psyche. 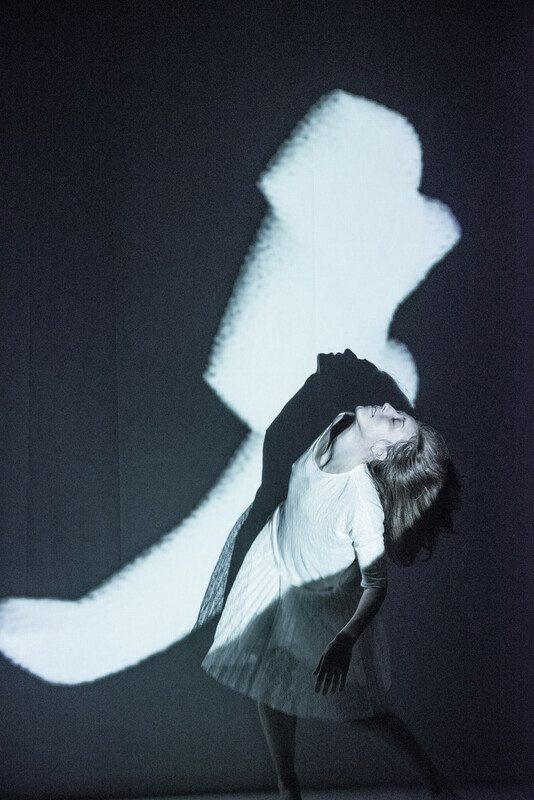 However, it is up to dancer Laure Dupont to transform all this graphically and convincingly into dance. 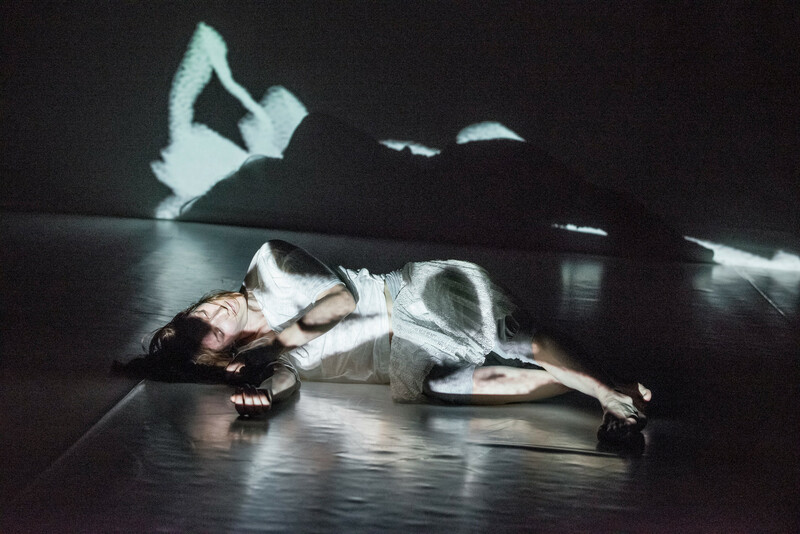 She provides the necessary feedback between the topic and the reality of the stage and translates sensitively, dismayed, desperately, and then again, hopefully Giovanola’s finely balanced choreography into movement. Laure Dupont is Alice in Wonderland – but then again not, because a bit of Alice can be in each of us. 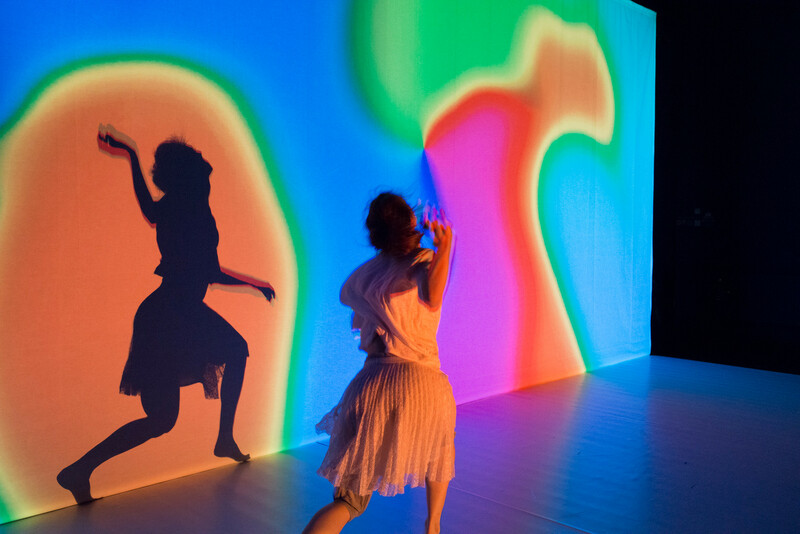 "Revisiting Wonderland" is a daring and captivating performance, but the interplay between animated movement and real dance may lead here and there to a loss of orientation." 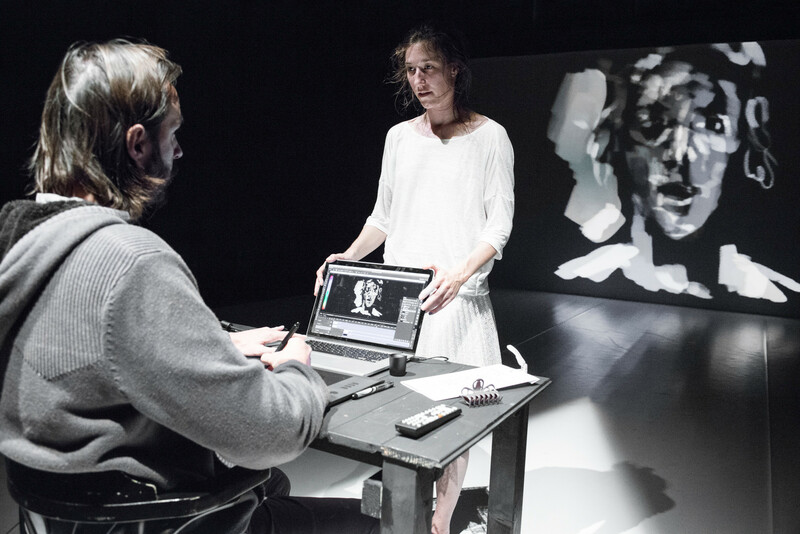 "During the premiere night, dancer Laure Dupont and the animation artist and filmmaker Simon Rouby have conjured a performance on stage at the Theater im Ballsaal that is a fusion of the arts on the highest aesthetic and technological levels. 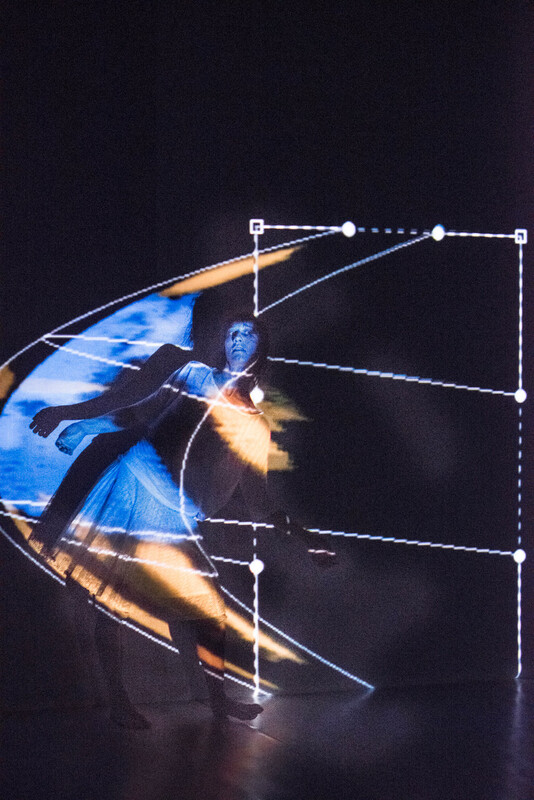 The computers-generated animations, which Rouby monitors live on the stage from his notebook, act like a second dancer, like a living opponent of Alice, who is born out of light at the beginning of the piece. Rouby’s rays touch Dupont’s dress like a painter’s paintbrush the canvas - and line for line the girl, the person comes into being. In a later scene, Alice meets a computer-generated human figure whose motion sequences are as perfect as her own are. However, the virtual person seems adaptive and soon expands Alice’s repertoire by absurdly hair-raising possibilities. On her fantastic trip through psychedelic colour and sound frenzies, Alice, of course, also meets well-known creatures from wonderland, such as Cheshire cat. However, one of the most tantalizing situations is meeting herself. Her avatar seems to be caught in a web of marking lines from a graphics programme - and Alice, too. 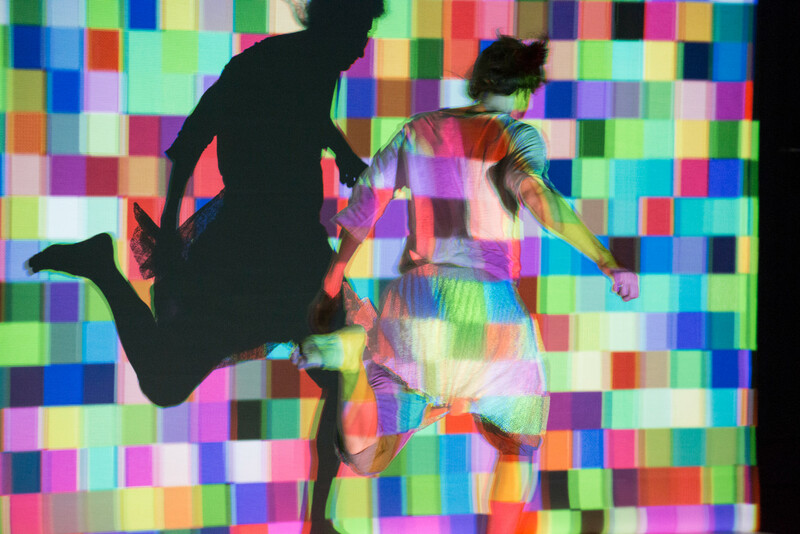 Her attempt to escape from this grid is a dancer's and a graphical masterpiece. 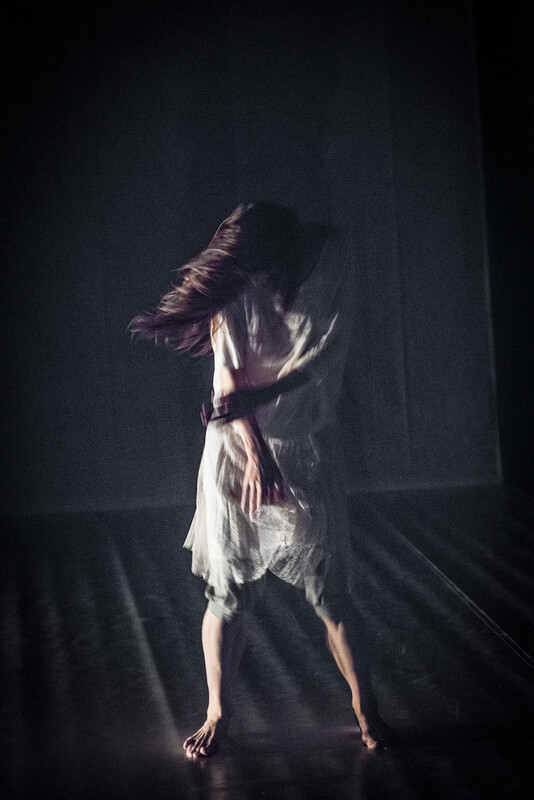 This performance that closes the Bonn solo dance festival today, is an intelligent and sophisticated experimental arrangement and has been realised exceedingly sensually." "The fertility of Lewis Carroll, which actually was the alias of a mathematician, is his immense usability, even long after his death. His fascination stays in the game with the technical developments and with their exaggerations. Accordingly, there was not a lot of dance. However, for those moments, there was an excellent dancer, Laure Dupont. Whenever something enchanting was required, she succeeded magnificently. … However, the template was produced by animation filmmaker Simon Rouby, and thus, the audience was put on the right track. First of all, Lewis Carroll’s thoroughly known fairy tale was of no real interest. It is more the result. Exciting is the path which one walks along via the technology. … The computer performs magic, but still tells the known stories by Lewis Carroll. Simon Rouby’s performance with his computer is truly amazing. His animations bordered on pure magic. Nevertheless, they continue to be what we have always watched in the theatre or in Disney movies, the rabbit in the burrow. The dancer, sometimes large, sometimes small. Everything is theatre play and trick. In any case, up to now."